For years, people have spent time and energy trying to hide the embarrassing effects of toenail fungus. 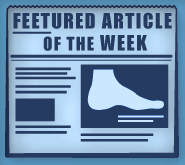 The infection, clinically known as onychomycosis, can be stubborn and disfiguring. From yellowing and thickening of the affected nails, to a hard-to-hide odor, there is nothing pleasant about dealing with this common foot infection—until now. Thousands of patients at Foot Doctor of the East Bay have experienced success with laser treatment for fungal nails. As part of our commitment to cutting edge technology, we were at the forefront of bringing this treatment to the communities around San Jose, San Francisco, and Oakland, CA. Don’t miss out on the opportunity to slip on your favorite sandals without fear. Join the celebration—schedule your appointment today! Dr. Michael Stein and Zeindelin Ahmad, DPM, experts in fungal nails, are happy to announce that there is a safe and effective way to say goodbye to discolored, crumbly nails. Laser therapy addresses these former treatment stumbling blocks by eradicating the problem at its source—underneath the nail where the fungi hide. There’s peace of mind knowing that the technology behind our laser of choice, GenesisPlus by Cutera, is FDA approved for the treatment of fungal toenails. The light emission of a laser isn’t limited to the surface, and that’s great news for the health of your feet! Unlike topical treatments that don’t penetrate the nail, the laser is focused on killing the infection beneath. A typical treatment lasts about thirty minutes, and it has no side effects. Discomfort is rare, and you can look forward to walking out of our office feeling as good as you did when you walked in. The number of treatments needed is based on the severity of the problem, so it is always best to schedule an appointment at the first sign of trouble. Discoloration and/or thickened nails are usually the first symptoms. Even if you aren’t experiencing pain, the infection is progressing. Take action now to stop it in its tracks. After your appointment, you can look forward to the growth of a new, healthy nail in place of the infected one. While this takes some time, you can be confident that beautiful feet are on the horizon! If other treatments have left you feeling disappointed, there is hope with laser treatment for fungal nails. Today is the day to end your fight against fungus. Dr. Michael Stein and Zeindelin Ahmad, DPM, are on your side, and there’s no looking back. Schedule your appointment now at one of our three convenient locations.